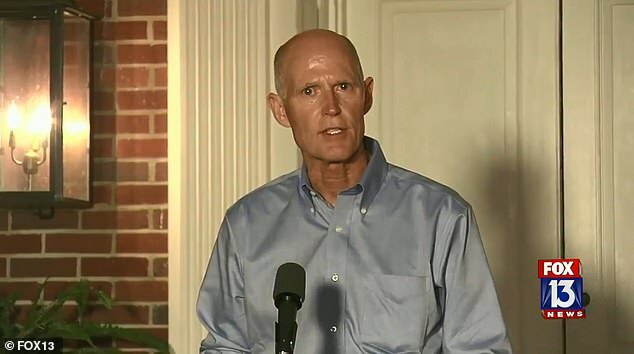 Florida Governor and Senator elect Rick Scott, unleashed lawsuits against Broward County and Palm Beach County while accusing Democrats of trying to steal the election. Both the senate seat Scott thought was his on Tuesday night, and the Governor's spot that looked all but won by Republican Ron DeSantis are both now within the margin of error for a recount. 'Late Tuesday night, our win was projected to be around 57,000 votes,' Scott told reporters during his press conference Thursday. He continued: 'On election night, Broward County said there were 634,000 votes cast. At 1am today, there were 695,700 ballots cast on election day. At 2.30pm today, the number was up to 707,223 ballots cast on Election Day. And we just learned, that the number has increased to 712,840 ballots cast on election day. In Palm Beach County, there are 15,000 new votes found since election night. 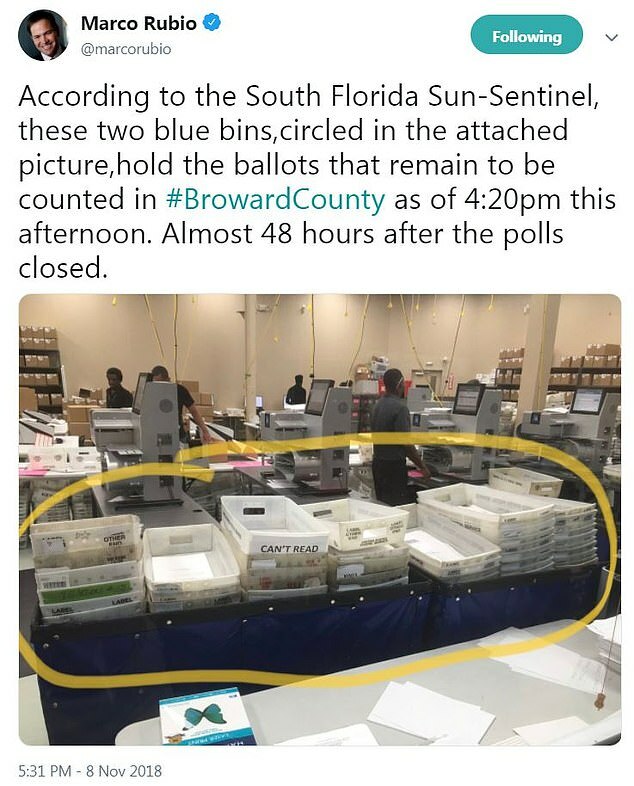 'So, it has been over 48 hours since the polls closed and Broward and Palm Beach Counties are still finding and counting ballots – and the Supervisors – Brenda Snipes and Susan Bucher – cannot seem to say how many ballots still exist or where these ballots came from, or where they have been,' Scott said. During the press conference, Scott declared there could be 'rampant fraud' in the counties ballot-counting process. 'The lack of transparency raises substantial concerns about the validity of the election process,' the suits against the counties states. 'An emergency hearing is necessary as the Canvassing Board is obligated to submit the unofficial elections results to the Division of Elections by noon November 10, 2018. A recount in at least two, possibly three, of the statewide races appears likely,' Scott's Senate campaign alleged against Broward County officials in the suit that was filed by Scott, along with the National Republican Senatorial Committee. 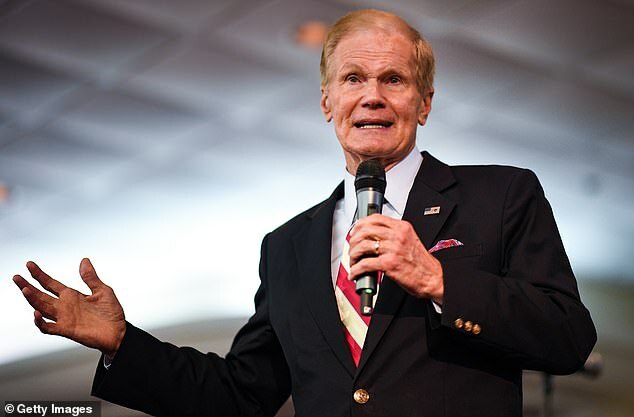 Senator Nelson's re-election bid is likely headed to a hand recount given that the incumbent Democrat now trails Scott by just 17,000 votes, within the .25 per cent margin required for a hand recount. Nelson's campaign aides believe he will emerge victorious once all the ballots are counted. 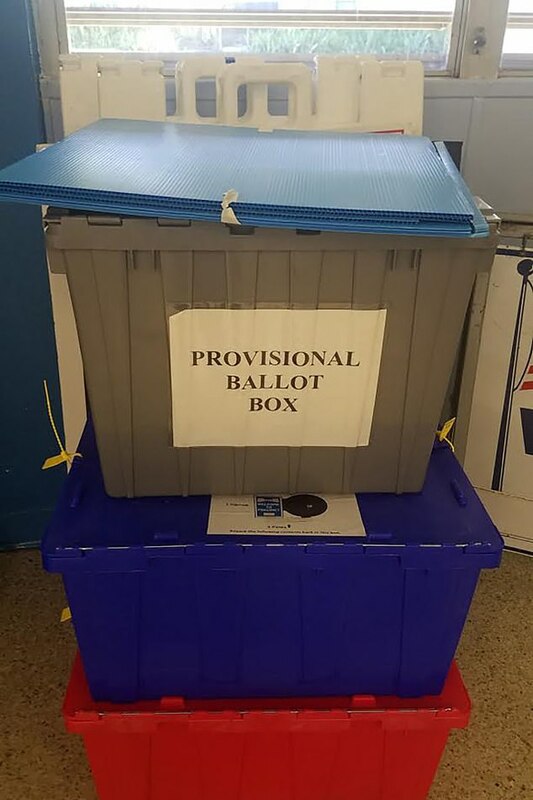 Meanwhile, a teacher in a Broward County school found a container labeled 'Provisional Ballot Box' in a storage area of her elementary school on Thursday. Lakeisha Williams, of Broward County, said she found the box Thursday at Miramar Elementary School. It was apparently left behind by election workers. 'I went into the area that we use for storage and saw it in there,' Williams told the New York Post. The teacher said she did not touch or look inside the box. She and the school's principal contacted a local state representative. 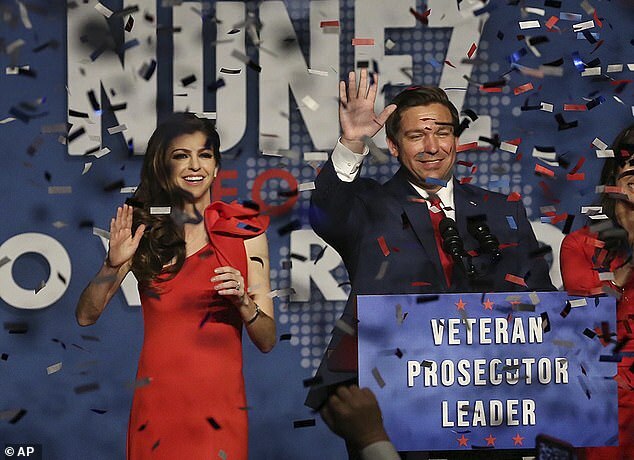 In the Gubernatorial race in the Sunshine state, Democrat Andrew Gillum had conceded to DeSantis late Tuesday. However, as votes were still being counted Gillum was only down 38,000 votes, which is in the margin of error for a machine recount. While Gillum conceded the race on Tuesday, the deficit of votes is down to 38,000, within the .5 per cent needed for a machine recount. 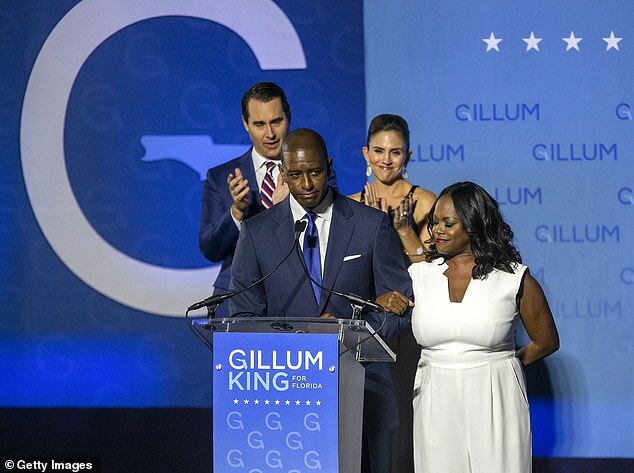 'On Tuesday night, the Gillum for Governor campaign operated with the best information available about the number of outstanding ballots left to count. Since that time, it has become clear there are many more uncounted ballots than was originally reported,' Gillum's communications director Johanna Cervone said in a statement. The possibility of a Florida recount are reminiscent of when the Sunshine state plated a critical role in the election of George W. Bush in 200. Bush was elected after winning Florida by all of 537 votes in the recount. Recounts have no yet been officially authorized in either the senate or gubernatorial race as of yet. They sure do have an uncanny ability of finding new votes after the election is over . Have you ever seen a bigger group of sore losers like this ?